TOWN AND COUNTRY OSWESTRY ARE PLEASED TO OFFER TO THE MARKET This great opportunity to purchase a NEW BUILD FOUR BEDROOM DETACHED FAMILY HOME with ATTACHED DOUBLE GARAGE. Accommodation briefly comprises - Hallway, WC/Cloakroom, Lounge, Dining Room, Kitchen/Breakfast Room, Utility Room, Four Bedrooms one en-suite and Family Bathroom. 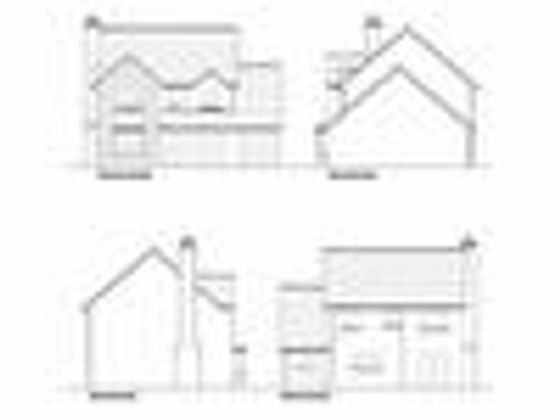 The development is just two designed family homes which are situated in the popular village of Bwlch-y-Cibau close to the market town of Llanfyllin with excellent Primary, Junior and High Schools. Local amenities include a Doctors and Dentists surgery, Veterinary surgery, a good variety of shops, restaurants, public houses, hoand leisure centre. There is still the opportunity for purchasers to make minor alterations plus the choice of central heating preferred. VIEWING IS HIGHLY RECOMMENDED TO APPRECIATE THESE OUTSTANDING PROPERTIES AND THE LOCATION. Property advert Ref 4090880 - Is a property advert for marketing purposes only, the information has been supplied by the owner, estate agent or property portal and The House Shop makes no warranty as to the accuracy or completeness of the information. Furthermore we have no control over the adverts content. This property advertisement does not constitute property particulars. Please contact the advertiser to obtain any information regarding The Energy Performance Certificate regarding homes in England and Wales or Home Report for residential property in Scotland.